For comparison, the illustration shows the relative sizes of the various tools. Please note: The illustrated tools are shown as true to the original as possible. 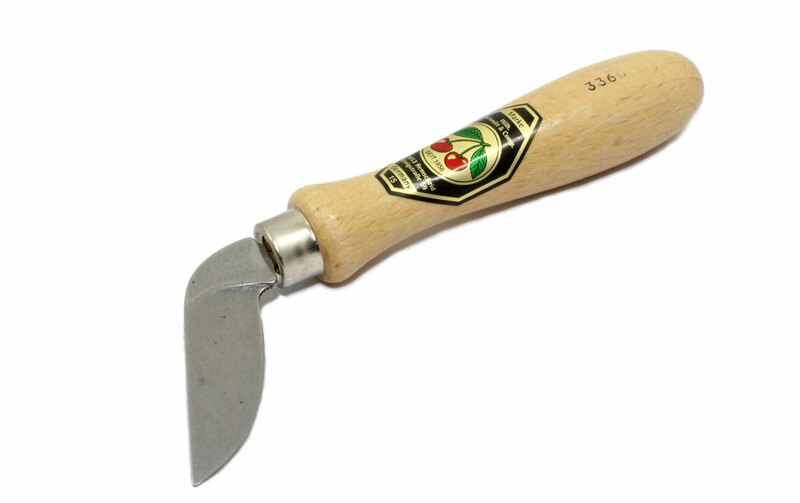 However, small variations in shape or size are unavoidable in hand-forged tools. 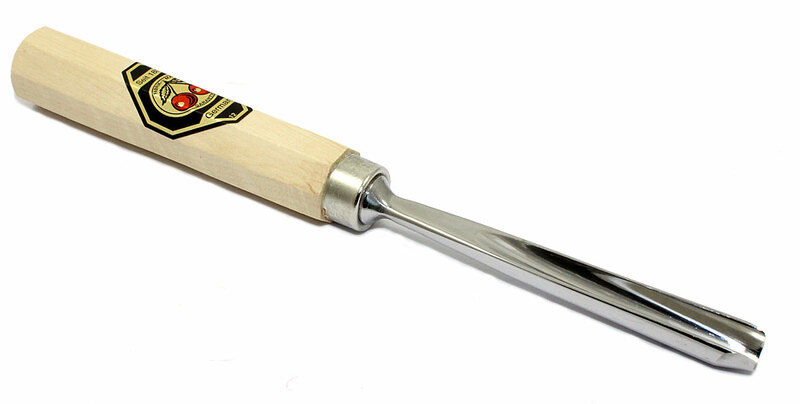 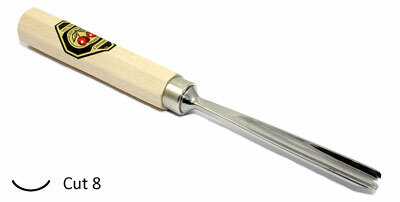 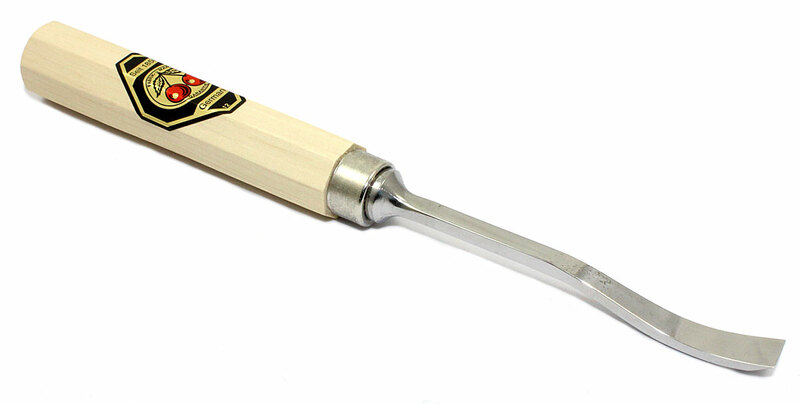 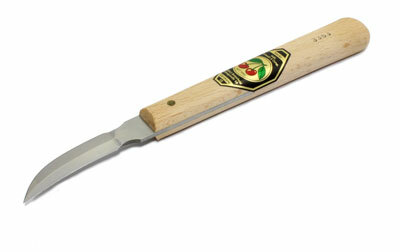 Small-size gouges are suitable for small to mid-size woodcarving work, but selection of sweeps is limited. These tools are also significantly shorter than regular gouges. Total tool length is always 20 cm (approx. 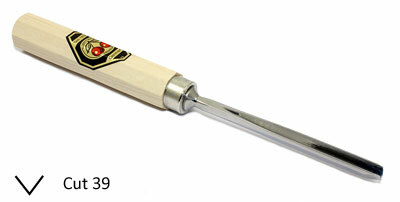 9-1/2 inch). 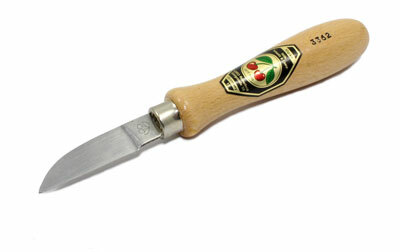 Kerbschnitzmesser der Serie 33 eignen sich für alle einfachen Darstellungen, Kerbschnittverzierungen und Intarsien (Einlegearbeiten). 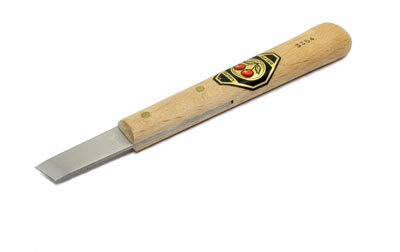 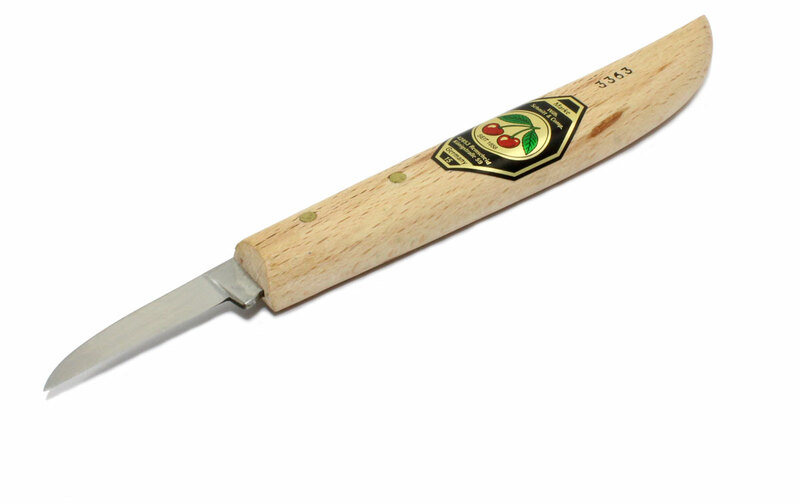 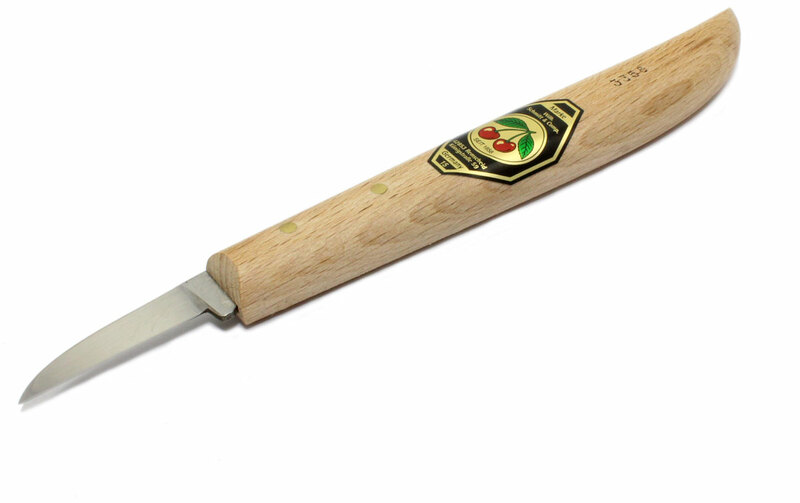 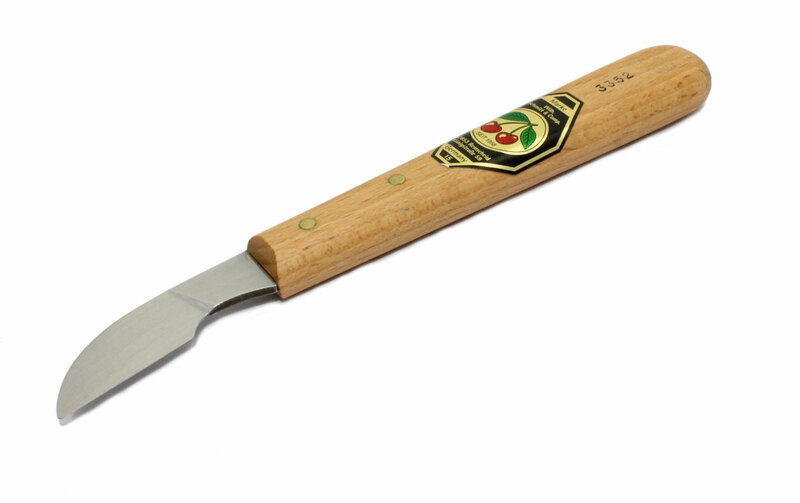 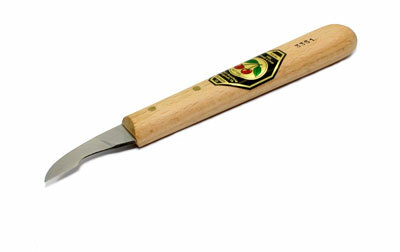 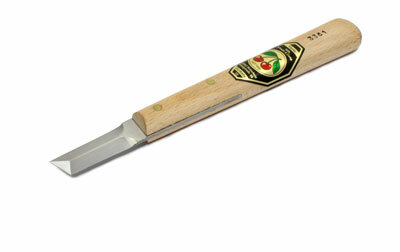 Series 33 knives are suitable for all simple depictions, carved decorations and intarsia work. 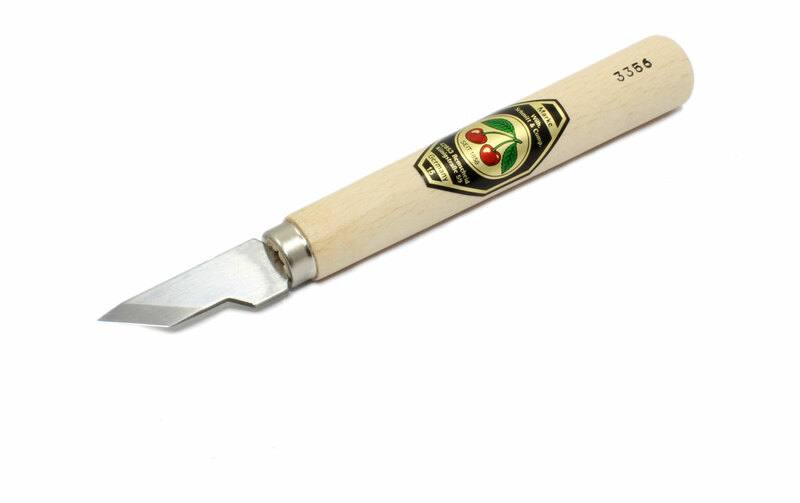 Micro chip-carving knives are highly recommended for the very finest detail work. 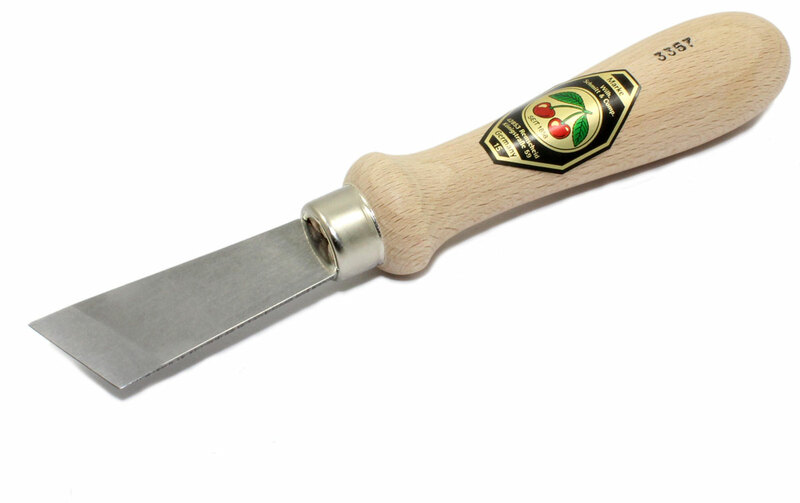 With a length of only 105 mm these short gouges are suitable for all narrow places. They are extraordinary sturdy for this size. This versatile tool is always welcome as a present.